The Liquid Story Binder XE Library allows you to organize all your writing projects. Liquid Story Binder calls these projects 'Books'. Liquid Story Binder creates an unique Windows folder directory for each one of your 'books'. This directory has the same title as the book itself. A book directory can be created anywhere on your system. Within each book directory, a series of sub-directories are created, one for each file type. Liquid Story Binder is very flexible. Use one book to store and organize chapters for a whole series of novels. 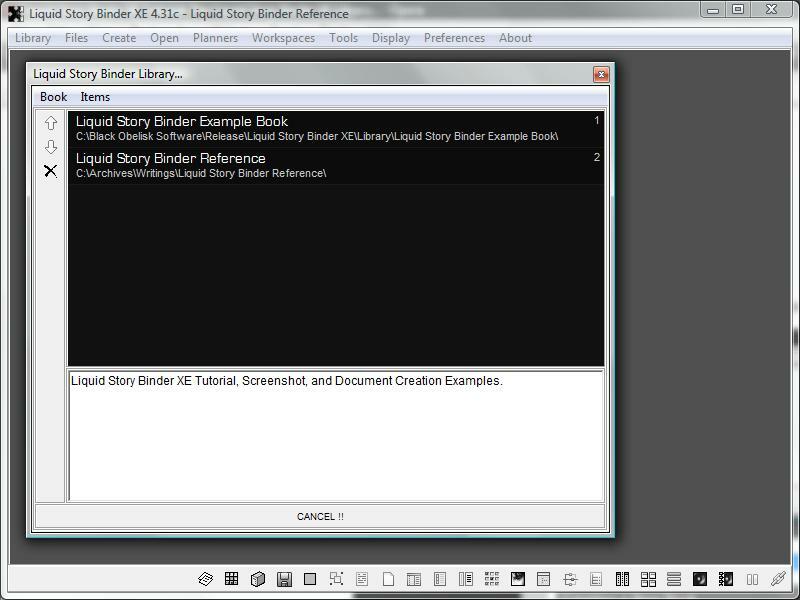 To open, sort, rename, delete, and restore books, use the Liquid Story Binder XE Library dialog. Begin by choosing 'View Library' from the main 'Library' menu. 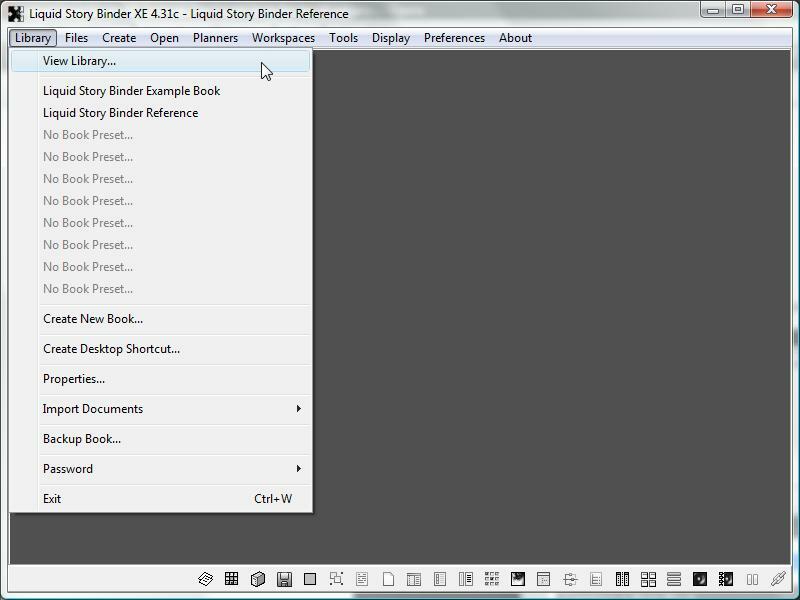 The 'Liquid Story Binder Library' dialog will open allowing you organize your library listing. Use the arrow icons to prioritize your books, selecting the books you wish to reposition. Use the edit box at the base of the library dialog to enter a book reference description. The topmost book will always open when you start Liquid Story Binder XE.